Every hospital & nursing home requires different types of tables. They include Examination Tables, Operating Tables, Plaster Tables and Obstetric Tables. 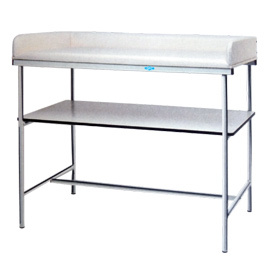 GPC Medical Limited, manufacturers & exporters of high class hospital furniture, offer a wide range of medical tables for every need. They are designed to be user friendly and patient friendly. They are safe, reliable and comfortable. Constructed from extra superior raw material, our medical table series, perfect in precision & attractive finish, is highly appreciated by physicians and surgeons in many different countries. 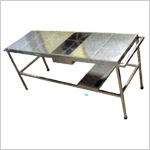 Send Your Buy Requirement For "Hospital Tables" AND Get Quote Quickly.